Lydia Pense & Cold Blood - TWO SHOWS! Lydia Pense & Cold Blood: Lydia Pense & Cold Blood debuted when the Fillmore was at its peak as one of the nation's musical Meccas. Owner Bill Graham was so impressed with Lydia's voice and the sound of the band that he immediately signed Cold Blood to his new record label. During the span of six original late-60's, early-70's albums, Lydia Pense and Cold Blood helped, along with Tower Of Power, forge their own specific brand of funk/soul and R&B which came to be known as East Bay Grease. That music still holds up today, proving that great music is timeless and will continue to inspire generations to come. Their initial four albums Cold Blood, Sisyphus, First Taste of Sin and Thriller remain their best known work. The band continues to record and perform today. The word legend certainly applies to Lydia Pense and Cold Blood…and not in some past tense-make-a-living-as-an-oldies-act sort of way either. Pense can still shout like a 60's soul diva and purr a slow blues tune with spine-tingling subtlety. Cold Blood, as a whole, features a stellar group of musicians who have been playing together for nearly 20 years including Steve Dunne on guitar, Steve Salinas on keyboards, a gritty-growling horn section comprised of Rich Armstrong and Rob Zuckerman along with a stellar rhythm section featuring Evan Palmerston on bass and Donny Baldwin on drums. 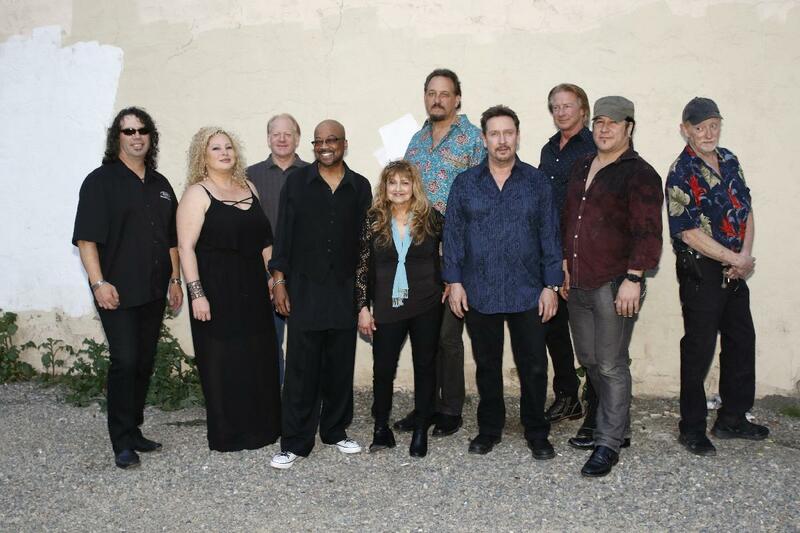 The band members are all veteran Bay Area musicians who have played with many great artists including Elvin Bishop, Jefferson Starship, Boz Skaggs, Albert Collins and more. Of course there is Lydia who still has the chops with the patina of a seasoned veteran who's done and seen it all. Together she and the band continue to twist together R&B, (both Old School and New School); into something that doesn't have a label... On any given night, Lydia Pense and Cold Blood power through their historic essentials, like "You Got Me Hummin'," "I Just Want To Make Love To You," "I'm A Good Woman," and "Down to the Bone." It's been a long road, over 40 years to be exact with a break somewhere in the middle. But, Lydia and the band are living proof that a little time off can be a really good thing. With their new CD, "Soul Of The Gypsy" turning heads across the country, fans are remembering just what has been missing from music in the last few decades. The 12 songs exemplify how a performer can take great strides forward, without forgetting her roots. Using "Soul Of The Gypsy" as their muse there is a renewed interest in live performances, from both the band, and venue owners. Cold Blood is booking dozens of shows across the country, entertaining generations of club, theatre and festival goers. And, of course, anything Lydia sings is sung well. She has a list of famous admirers that includes Bonnie Raitt, Michelle Shocked, David Lee Roth, even Janis Joplin back in the day.